A bone as English defines, is any of the pieces of hard, whitish tissue making up the skeleton in humans and other vertebrates. It consists of calcified material, which, coincidentally, is also known by the same name ‘bone.’ From a scientific view, a bone is a substance that forms the skeleton of the body chiefly made of calcium phosphate and calcium carbonate, and serves as a storage area for calcium, playing a large role in calcium balance in the blood. The human bones are categorized into long and short bones. Usually, the long bones have bone marrow while the short ones don’t. 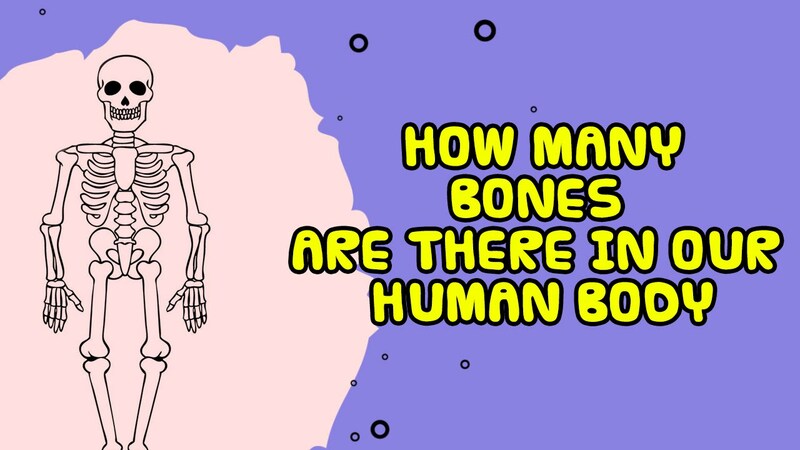 Although, usually the total bones in human body are said to be 206, the actual number of bones is varied from person to person depending on several aspects. For example, the number of bones of a normal human being keep increasing until the third decade of life, which is technically between 20 to 30 years of age. Again, the facial bones, which hare naturally fused are counted as separate bones. In any case, the number of some vertebral bones may vary (naturally) from human being to human being, so basically, a human being may or may not have 206 bones. Out of these 206 bones, some of the strongest bones are found on the skull, obviously to protect the brain, which could easily be said to define the human being. Bones of human body All the 206 bones are together called the human skeletal system. 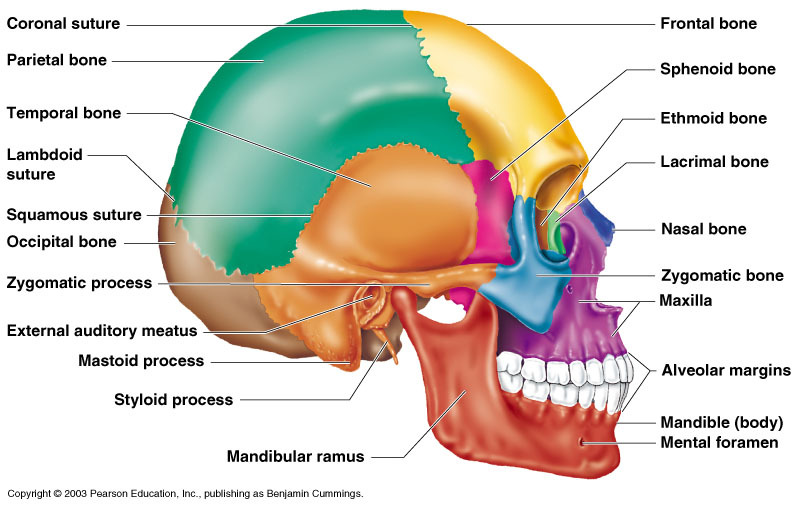 The human skull is a bony structure that supports the structures of the face and provides a protective cavity for the brain. The human skull is usually said to consist of 22 bones, out of which 8 are cranial and 14 facial skeleton. All bones of the skull, except for the mandible, are usually joined by sutures, which are synathrodial joints formed by bony ossifications. As stated earlier, the skull consists of some of the strongest bones in the human body in order to effectively protect the delicate brain and other organs beneath it, as well as fixing the distance between eyes to allow for stereoscopic vision and fixing positions of the ears to allow for localisation of direction and distance of sounds. Apart from this, the skull directly influences the shape of the head (mind you that difference human beings have heads shaped differently. The vertebral column is divided into 5 sections, according to the regions they are found shown on the diagram. Usually, it consists of short independent bones jointed to each other by protruding processes and fissures that form at articulatory surfaces. The bones had to be separate to allow for flexibility in rotation, bending and general turning. The vertebral column could easily be said to be the skeleton of the human skeletal system. Cervical vertebra: made up of 7 bones in the neck. It consists of the atlas (which articulate the neck to the skull), the axis, which pivots the neck and allows for rotatory and bending turns. The rest of the vertebrae support the neck. Thoracic vertebra: consists of vertebral bones that provide a surface for the articulation of ribs which support the thoracic volume in which the lungs (among other organs) exist. Lumbar vertebra: made up of strong bones that join the thorax to the abdomen. These bones are basically for general body support. Sacrum: which is a fused vertebra that supports the pelvic and the whole sacral cavity in which genitalia and related structures are placed. Coccyx: almost non-existent in human beings (it became vestigial as its need diminished over time. The human being, just like most other animals, has two pairs of limbs: the upper limbs and the lower limbs. In human, the upper limbs are referred to as the arms while the lower are called the legs. As simple as it may seem, the human arm has more bones that imaginable. From the collar bone (which is the clavicle), all the way to the distal phalanx, the human arm can be said to be a series of interconnected bones, which was necessary to allow for flexibility, turning and twisting as well as rotating. The scapula, which is not really part of the arm, is a structure that protects the lungs together with the other fragile organs found in the thoracic cavity. This is why they have a large surface area, so as to cover up the organs adequately, but mainly to provide a sufficient surface area for articulation of muscles. Other than that, it provides a surface joint for the articulation of the humerus. The humerus is one of the long bones in the human body . It joins the scapula, technically the whole body, to the forearm. The humerus has bone marrow just as the other long bones, and this is used as a site for production of blood cells, together with its function of providing a surface area for attachment of biceps and triceps muscles. The humerus, at its lower end, is jointed to the ulna and radius at the elbow. The ulna and radius are two separate bones with normal joints as other bones do. The two bones complement each other when it comes to supporting the muscles of the forearm. They also provide surface area for attachment of muscles. The radius, at the radio-carpal joint, articulates with carpals which in turn articulates with the phalanx. The carpals and phalanx make up the supporting framework of the hand. They support the muscles and flesh of the hand. 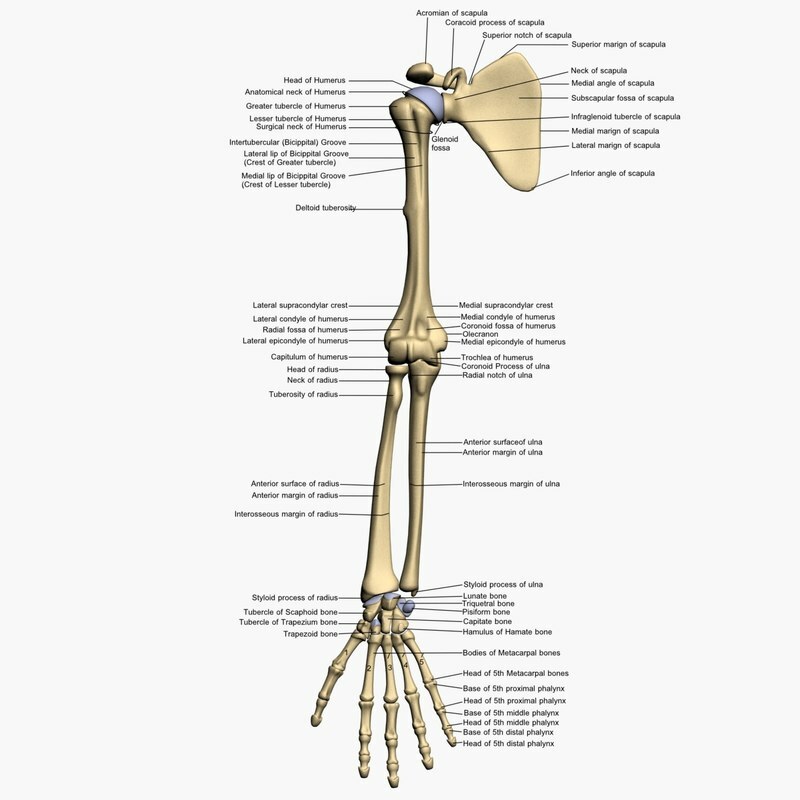 The foot is very similar to the arm in terms of bones and internal structure. The pelvic girdle bears some structural similarity to the scapula (although their functions may be varied.) This part protects the genitalia and underlying organs that would otherwise be non-resistant to mechanical damage that could result even from simple exercises. The pelvic girdle is more flexible in females than in males due to the need for it to widen during delivery. This usually happens prior or during labour pains which end in the actual delivery. The hip bone of the pelvic girdle articulate with the femur at a ball-and-socket joint known as the hip joint. The femur is structurally and functionally similar to the humerus stated above. The femur has bone marrow, and provides adequate surface area for attachment of muscles. It support all structures above it, as well as carrying the weight of the body. At the lower end of the femur is a patella which is a slippery bony structure present at the knee joint. Again, just like humerus, the femur is jointed to two bones, tibia and fibula (like the ulna and radius of the upper limb). The tibia and fibula are two separate bones jointed at the tibio-fibula joint (like the radio-ulnar joint of the upper limb). These two bones function in support most body weight by providing surface area for attachment of muscles which do the actual supporting of the body weight. The tibia-fibula bone rim is jointed to a set of bones known as the tarsals that are in turn jointed to the metatarsals. The metatarsals are jointed to the phalanges. These three, the tarsals, metatarsals and phalanges make up the foot which is a flat surface that provides the surface area for the human being to stand upright. The bones in the human body all complement each other as mentioned earlier. They behave just like a typical system whose elements largely depend on each other in order to achieve a greater function. The bones in the human body make up a support framework that is the human skeleton anatomy. Each section of this framework has its specific functions that aid other sections to do their work. Usually, the body skeleton is made up of many more structures other than just the bones, although the bones play quite a big role. These, within other organisms may include their hydrostatic stability and osmotic pressure which keeps them turgid and consequently rigid enough to attain the support given by bones. However, being advanced organisms with more than the weight that the hydrostatic skeleton can support, the human skeletal system had to be extended beyond the lower frameworks to achieve a higher anatomy of stronger and more reliable support structures. Muscles depend on bones as most of them are attached to bones. Muscles are flabby in nature and would need a rigid surface for them to attach to. This is why they are mostly found attached to bones (except for special muscles including the cardiac and the longitudinal muscle of the heart and gut respectively). Bones, apart from being just support structures, have other functions. Long bones for example produce bone marrow, which has its own functions, including production of some blood cells among others. Bones also protect the delicate organs lying below them. Examples of such bones include the cranium (or the skull), the vertebrae, scapula, pelvic girdle among others. These bones are usually strong with other enhancements such as underlying or overlying muscles that control movement of these bones. The bones of human body 206 bones in the body (though the exact number is inconsistent from person to person depending on various aspects) are jointed at strategic points to make up a rigid protective framework, the human skeletal system or simply the skeleton whose work is to maintain the shape of organs and the human body generally. The skeletal system also facilitates various movements of the human body such as turning and rotating of the neck, kicking, twisting and rolling, depending on one’s weight as other factors such as the environmental suitability and the temperature. Bones of the human body are jointed at several different joints that happen to be fluidly to facilitate bones brushing against each other without friction which may otherwise wear the bones and result in several other complications. Cartilages and other slippery structures are usually found at bone joints for the same function as they all work against friction. Right from the head to toe, almost all structures are boned. This is obviously for the support, but also could be for other functions, including providing a flexibility limit where a structure is forbidden by a bone from reaching a certain point or direction. Such bones are found at places such as the elbow, neck and jaws, mostly found at hinge joints, but not only limited to the hinge joints. Bones of human body As humans, we interact with our own bones, as well as other people’s every day. It is, therefore, quite easy to arrive a bone damages such as fractures, dislocations or even broken bones. Realizing from experience and facts that have proven consistent over the years, the reaction of the human body when any damage occurs to it is repair. It immediately seeks to repair itself however it is. This might sound good at first, but getting to realize how much irreversible damage this can result in, then you would realize the danger in it. Basically, when a bone is broken or dislocated, the body would just wish to grow the bone back to the way it should be regardless of its new position. This is why people get lame when they acquire injuries. Whenever a broken bone, fracture, dislocation or similar injury occurs, the first attempt should be restoring the bone back to its original position manually, then giving the body some assistance as it tries to repair the bone back to its original form. This may come in several means such as taking a diet specific for the growth and repair of bones, or even staying in a fixed position so as to accelerate growth and repair of the damaged structures. However, the procedure described above requires professionals. Whenever any accident that might lead to damage or instability of the human skeletal system occurs, it is wise to take the case to a qualified doctor.